Built by sea lovers for sea lovers, Sightseaing for Glass™ connects users to a large network of sea watchers worldwide, offering them the opportunity to view and stay up-to-date with real-time, detailed information about maritime events. Sightseaing for Glass allows users to take advantage of the cutting edge features that Glass provides, and with a sole voice command, stay informed with nearby Sightings and even navigate to their locations. Just an “Ok glass, explore nearby” is what holds you from discovering maritime events such as wildlife, ships, water sports, and more. Dare to see the sea with Sightseaing for Glass, available now in the MyGlass gallery. 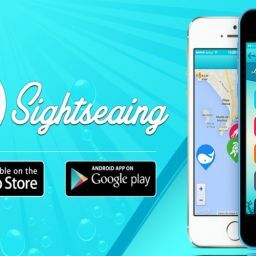 Please visit www.sightseaingapp.com for more Sightseaing information, including screenshots and videos of the app.